Telecalling services to make your business globalized. Expansion of a business to an unfamiliar country is never an easy job, as one is never sure about the deal of the products that has been received. Before investing your earned amount for business extension in a new country, it’s always better to engage people’s interests and understand the demand of your product. This can be done through a telecalling service. What is telecalling? It is an act of selling, promoting or soliciting a product or service over telecommunication systems such as mobiles or telephones. Telecalling is one of the best, most sophisticated and cost-effective tools which helps you reach out to your potential customers world-wide and helps you to decide whether a specific country will be right for business investment. Read this article to get a complete overview of telecalling. Telecalling script samples enable the customers to generate new leads and conceptual ideas. Here’s what you need to do to rank your business through telecalling. Once you get an idea of the pulse of your target audience in your dream location, you can start telemarketing calls to enhance your products and services among right potential buyers. Telemarketing services help open up an opportunity for better interaction with your potential customers, allow you to find solutions for queries and also builds complete trust. Nowadays most of the multinational companies use telecalling services in their initial stages of business expansion to survey customers and understand their views better. Once you have established your reputation in the market and grabbed the attention of customers, you may then consider telecalling as the next crucial step of supporting your customers. A good and strong customer service team will help with better customer relationship management. Customer surveys, telemarketing or telecalling scripts for sales are well-known to be successful, if you’re able to generate leads through telecalling from those who have shown interest in buying your products. 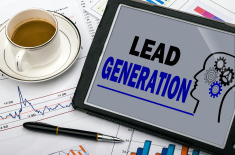 Dedicated and committed lead generation activities and set up lead targets is required to ensure continuous flow of revenue through lead generation. Once your business development plans, telecalling and telemarketing services are ready, the next level is finding a service provider. Here outsourcing telecalling comes in as the most logical step in terms of ease of business as well as cost factor. Now you can kick start your experience with increased sales and better conversion rates along with high customer satisfaction by getting real time data through telecalling. Outsource telecalling sectors have rich experience in providing the customers specialized support services such as e-mail, live chat support, voice mail, lead generation, technical helpdesk and appointment setting services. These services help the customers solve their technical issues. This piece of writing provides clear idea designed for the new viewers of blogging, that truly how to do blogging. Hello there! This blog post couldn’t be written much better! Looking through this article reminds me of my previous roommate! He continually kept preaching about this. I most certainly will send this information to him. Fairly certain he will have a great read. Many thanks for sharing! Hi I am so happy I found your webpage, I really found you by error, while I was researching on Bing for something else, Anyways I am here now and would just like to say cheers for a incredible post and a all round interesting blog (I also love the theme/design), I don’t have time to look over it all at the moment but I have book-marked it and also added in your RSS feeds, so when I have time I will be back to read more, Please do keep up the superb b.